Some people will do anything in hopes to relieve their pain. Someone figured out that lubricated condoms help relieve arthritis. Now, older people in South Africa, are exchanging their pills for condoms. The word on the street is that the lubricant oil in the latex condom helps relieve pain associated with arthritis. Some claim that after rubbing a condom on the painful joint they feel immediate relief. "This oil is number one," Elizabeth Moyo said after demonstrating how to use condoms. "I'm tired of the pills," she said. Condoms are available for free in South Africa, which has one of the highest HIV rates in the world. Ten percent of the population are HIV positive. “Over 25 percent of South African schoolgirls are HIV positive compared to 4 percent of boys because ‘sugar daddies’ are exploiting them,” Health Minister Aaron Motsoaledi said. 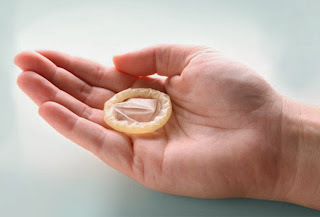 Medical experts said that there are no scientific evidence that condoms help relieve pain and they worry that condoms will now be wasted for arthritis rather than for the intended purpose. Arthritis is a common condition among older people and causes pain and swelling in the joints.